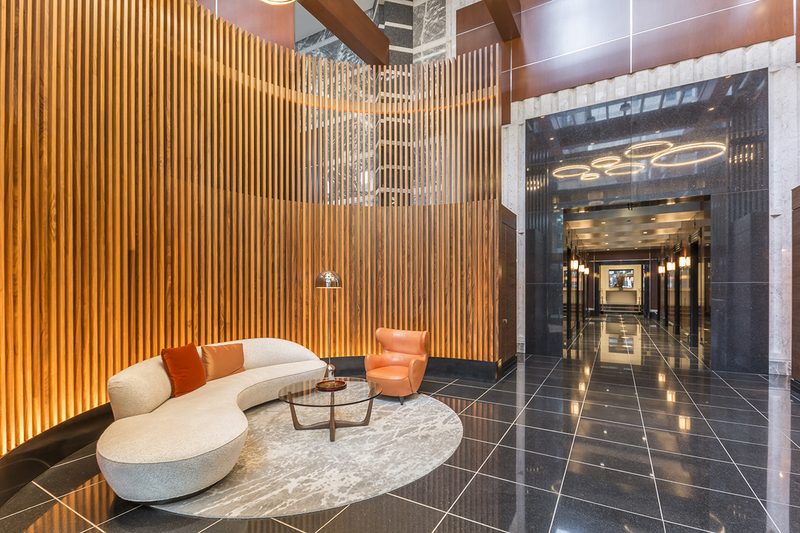 A brand new lobby for the residences inside the iconic skyscraper designed by Helmut Jahn in the late 1980's. A sculptural lighting installation hovers above the monumental screens that are softly illuminated from below. 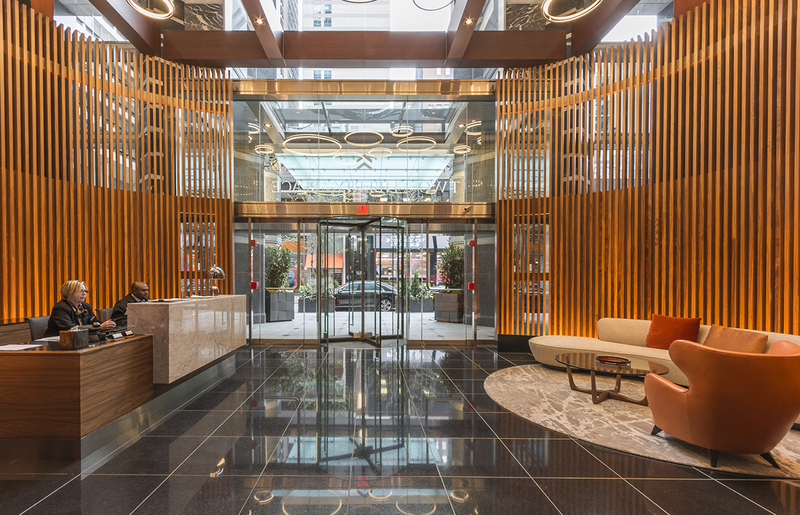 The result is a grand, warm welcome to the residents of this prestigious address in downtown Philadelphia. 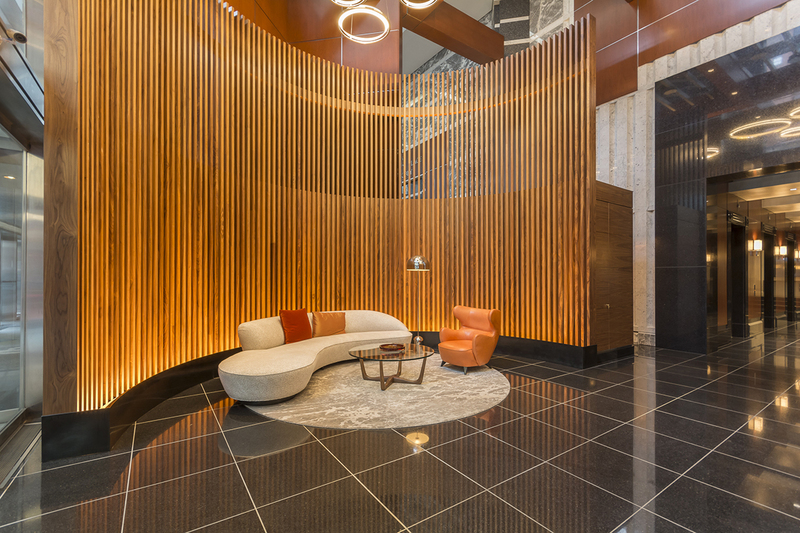 Light IQ was commissioned to conceptualise the lighting for the new lobby interior design at this iconic residential tower in the centre of Philadelphia. The main two challenges were the vast amount of daylight & sunlight, as well as the monumental scale of the existing lobby ceilings - reaching over 20 metres. The brief was to create a feature with lighting and bring down the scale of the ceiling above the reception area of the lobby. 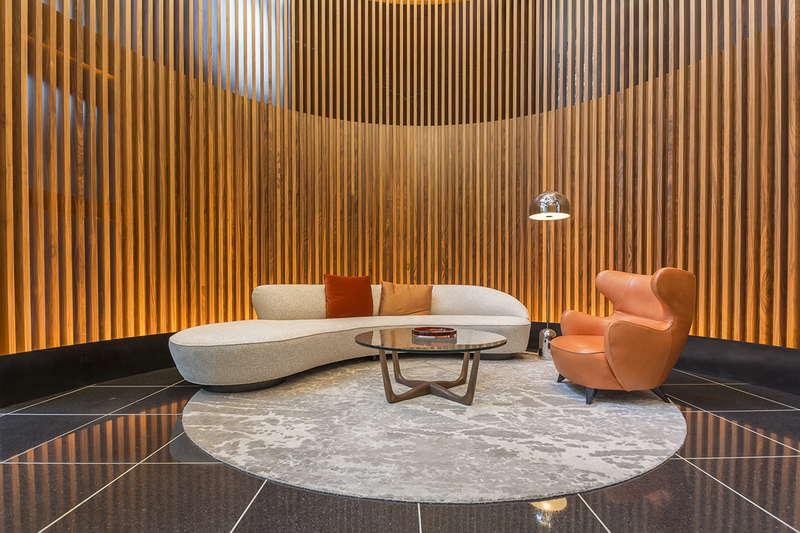 The new interior design for the residential lobby comprised two 5-metre semi-circular screens that enveloped the reception and concierge areas. 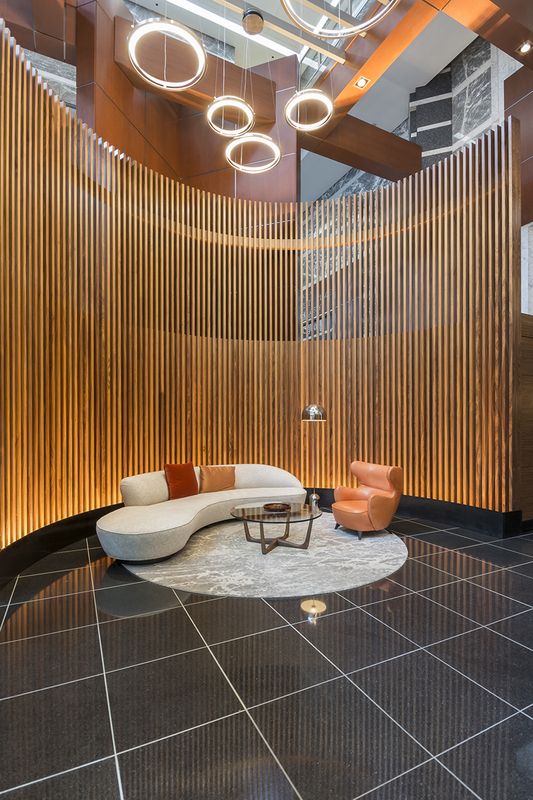 To create intimacy, Light IQ conceived an installation of several rings of light of various sizes, intended to elegantly hover above the minimal wooden screens that surround the lobby, thus creating the illusion of a floating ceiling. At low level, the walnut finish of the screens is softly and discreetly illuminated from a linear detail along the plinth of the screens. 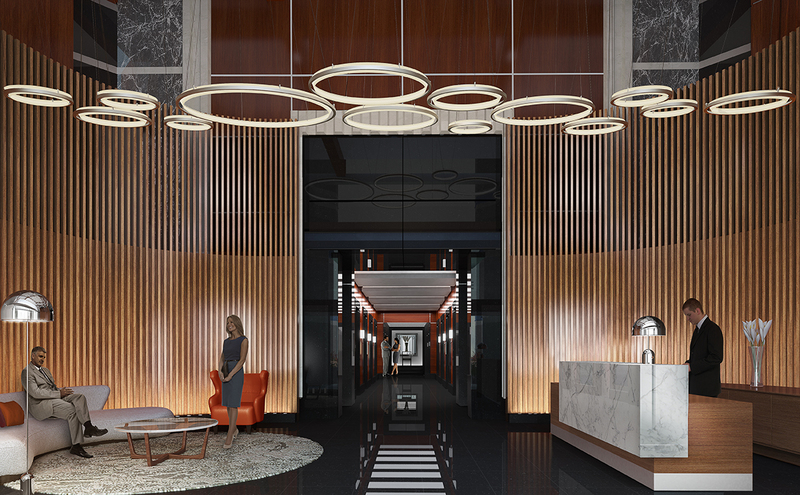 The two effects combined, rings and uplight, create the perfect lighting mood for the lobby during the day and after dark. A third layer of lighting in the form of decorative floor and table lamps brings human scale to the lobby and creates intimacy after dark.